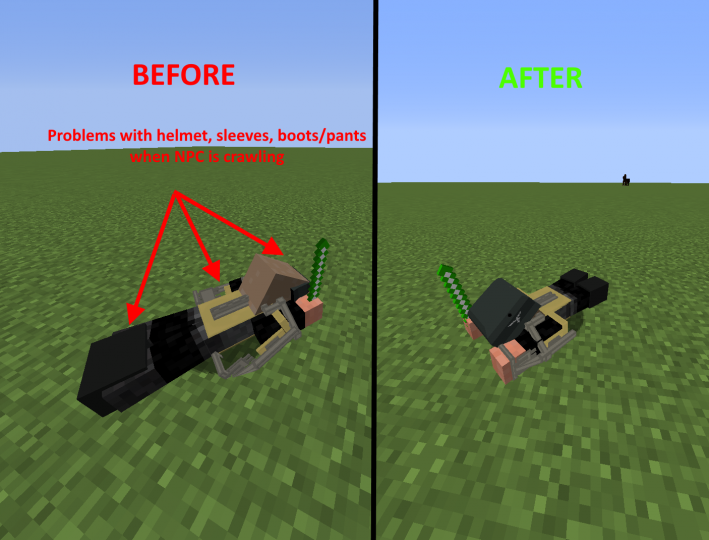 - Makes 3D Armours from Flan's mod content packs working with the following NPCs animations : standing, sitting, lying, sneaking, aiming, hugging, crawling and dancing. 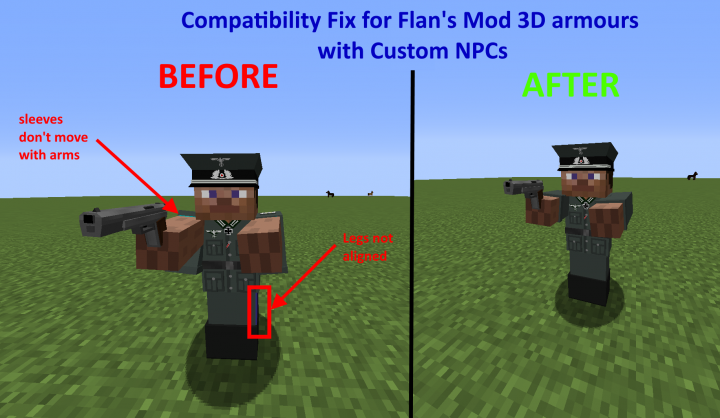 - Make sure you have Flan's mod und Custom NPCs installed. I allow everyone to distribute this fix as long as I'm credited. The using of this fix in a public modpack is of course allowed. 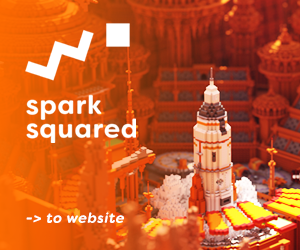 Can you make a compatibility for the smart moving mod, for minecraft 1.7.10? wait so do i put this in my mod folder or my flans folder? Could you do a fix for this mod called "Call to Battle- The WWII Mod" also? i love you <3!, but any chances of 1.7.10? Would this work with some other mods? Or is it just for Flan's? Can you make a compatibility for the mo'bends mod? It would require to get the source code of this mod and moreover it would probably take a lot of time. So, sorry but I can't.